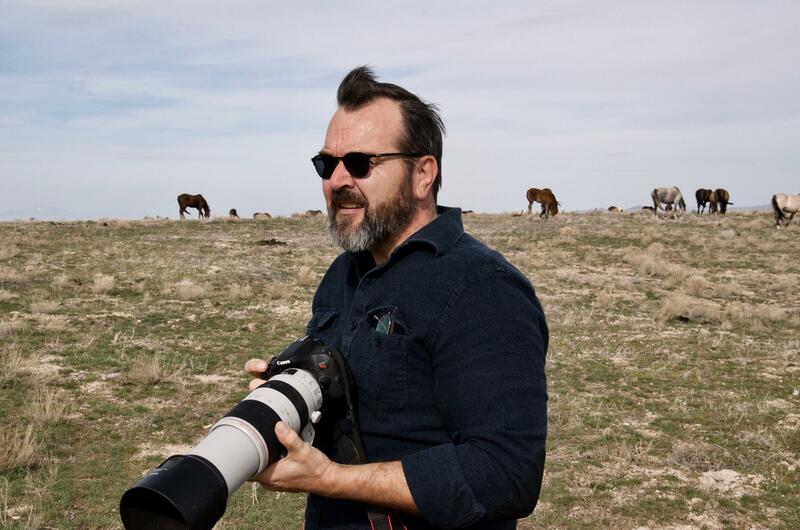 Rob Hammer, an amateur photographer and wild horse advocate, taking pictures of a group of wild horses near Utah's Onaqui mountains. 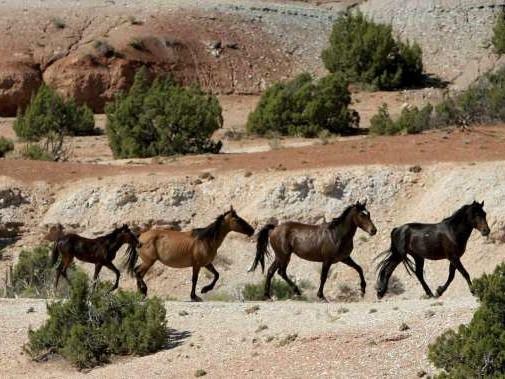 Tim Clark approaches a group of wild horses near Utah's Onaqui mountains. 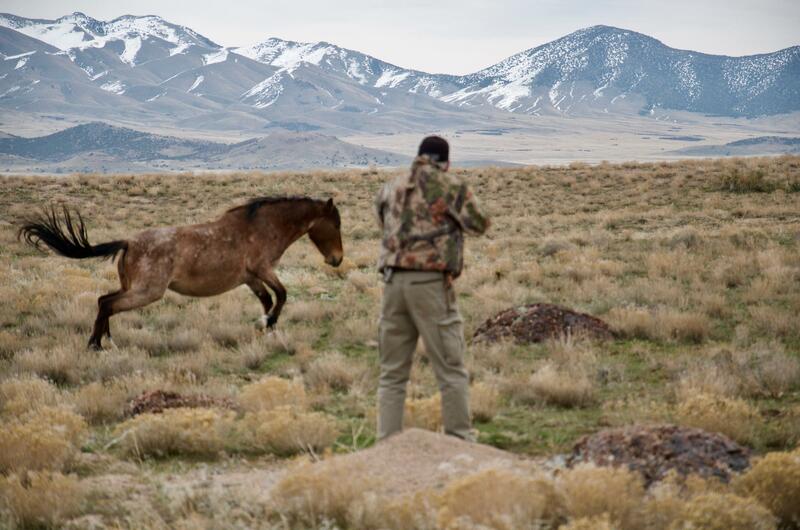 His air gun is loaded with a contraceptive that makes mares infertile for a year.